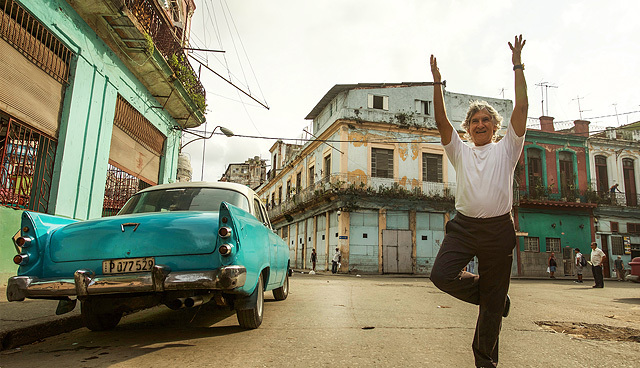 Eduardo Pimentel, yoga teacher and the president and founder of the Cuban Yoga Association (CYA), has been instrumental in spreading the teachings of yoga in Havana. Despite difficult working conditions, the practice flourish, and since the improved relations in 2015 between U.S. and Cuba, Pimentel's expertise will now benefit yogis outside Cuba as well. Eduardo de Jesus Pimentel Vázquez—more commonly known as Eduardo Pimentel, the "Godfather of Cuban yoga"—has taught over 20,000 practitioners in Havana alone. He teaches daily in various locations, such as a rented veranda of a governmental institution, inside of a theater, at a local martial arts center, or at his own apartment with a maximum capacity of 12 students. The conditions are minimalist—students rest in Savasana on a small area of tiled floor space, surrounded by empty walls with peeling paint and views of lush, fertile jungle outside. Pimentel dreams of one day selling his apartment for a larger space, so that he can open a yoga studio of his own—which as of today, would be the first of its kind. 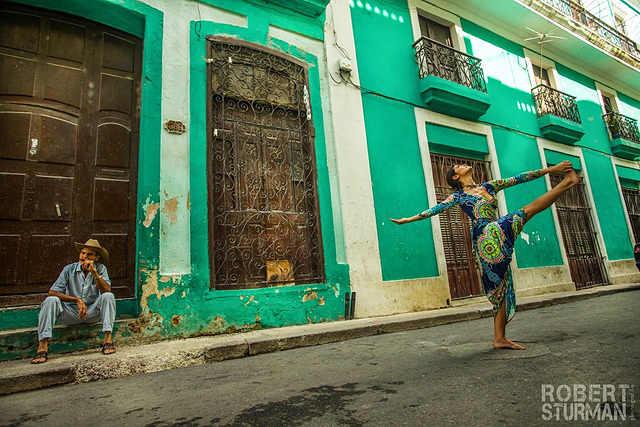 Known throughout Cuba as "green medicine," yoga and other forms of holistic healing were backed by the government to promote good health among citizens. Yoga was often broadcast on governmental television networks, featuring Pimentel in many of the segments. Featured image: Eduardo Pimentel by photographer Robert Sturman.